This laptop beats many others in the same range with its beautiful appearance. It has volume, play/pause, rewind, Bluetooth, wifi and some other functions that offer single touch activation. Unlike its HP competitors, it will not get your finger prints all over it self and would remain tidy. If you aim to play games requiring high end systems, this is certainly the system for you. With its 1GB NVIDIA card, you can play almost any game released till date. Moreover 1GB card is only in the base configuration, if you choose to customize the laptop yourself, you can also add a 2GB card. It would also work great with graphics designing apps that require high graphics processing capabilities. The preinstalled software include the McAfee Anti Virus (30 day trial) and Dell’s own Data Safe online backup software (12 months) only. However, it will also offer you to buy some more software for your laptop for less than the market price. Dell has also stopped giving the win-7 recovery Discs and you will have to make them yourself. One of the most impressive features of the laptop is its backlit keyboard. In a country like Pakistan, where electricity is a problem, many time we try to type in the dark and have to adjust the screen so we can get some light on the keyboard too. But in this model there is an option to light up the keyboard by built in LEDs. This is very useful when typing in the dark. The speakers are somewhat small and occupy less area than those of HP or ACER laptops but their sound is better than most of their competitors. The Speakers are not Dell manufactured but of JBL, which is reputed to having one of the good speakers in the market. Although the display is fine and easily usable but it is certainly not an improvement over the previous models. By just putting a drop of water on the display you will be able to see the small darks spots between the pixels and the display would appear washed. However, this problem is not your to worry about if you keep your display clean and tidy. Although the looks of the laptop are appreciative, the design is not. The most weird thing about the design is that Dell has put Hard Disk activity and Battery Charge LED indicator to the back of the display. Most of the times when the laptop is a little sluggish, users like to take a quick peek at the LED indicator. Here this isn’t possible because you will have to tilt the display every time you want to see the LED indicator. Same goes for the battery indicator too. This system is a little heavy to carry around with you. With the standard 6 cell battery it weighs about 2.43Kg. If you have a 9 cell battery, it would be even heavy weighing some 2.8Kg. A laptop this heavy is a little difficult to carry around if you are constantly on the move. It is a good system for gaming as well as office applications but if you have the money, upgrade the processor and graphics card to make it the best. Actually all laptops come in different configurations, there is essential, security and i think 3 more. you must have seen the different configuration. having the super config with everything will cost u $1200. thats right. but if the above stated specs are only for about RS 75000 then i am buying this laptop. although i dont really require all that hard disk space and that bluray drive will also be useless. How is it cheap here in pakistan? In america it is $900 without the bluray drive and 640GB HDD. very good specifications. awesome graphics card. battery back up looks good. Asslam-u-Alikum! I think these specs are not right either the price. Plz kindly confirm it. I, myself, bought this model a few months ago for 79200. Do it had all the specs including blu ray burner mentioned above and from where u bought it? blu ray burner was not there but the rest was same except it had 1 additional software. i brought it from Doha. but i think blu ray burner is not such a big thing for pakistan cz normally no one uses blu ray burners or disks at all. and i also got a mouse and headphones but they were not of Dell. is this model available in 15″ too? if yes then what is its current ongoing price? no, this laptop will not be available in 15″ with exactly these specs. 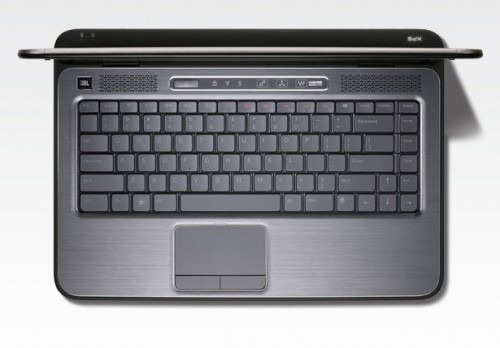 however there is an XPS 15 which is very little different from this one here. the laptop can be found on prices.pk, another thing is that you can have galaxy computers karachi import it for you. I would recommend that you import if you are a serious buyer. And do see what configuration they are offering before asking the price. Great review. This Laptop will be very fast and efficient. Dell is the no1 brand in Laptops. Is this international warranty ?? it depends from where do you buy it. you can ask galaxy computers karachi for it. But the 100% same config might not be available because its custom config. i want to know any shop in rawalpindi/Islamabad from where i can buy this? U can check for them in shops at saddar in rawalpindi and blue area isb.